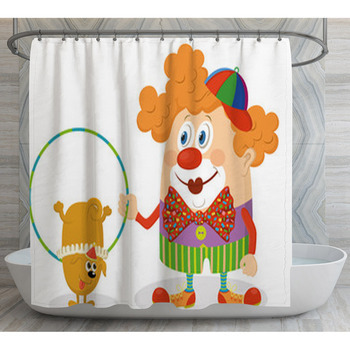 There's no way you can be in a bad mood if you start your day with ridiculously bright and happy face on your clowns bath decor. 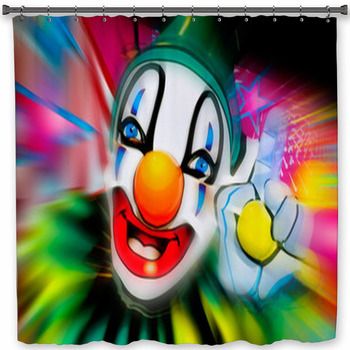 Try not smiling at the turquoise eyes and cherry lips of an orange nosed clown with a yellow ball and a collar of greens against a blur of pinks and turquoise. 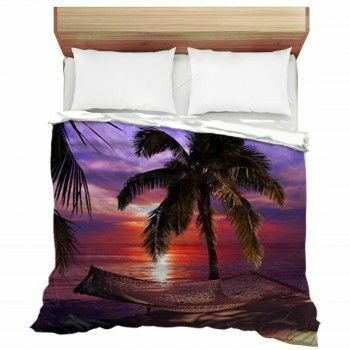 Impossible. Try your luck with a simple cartoon clown, purple coat and red nose nicely matching his bowler hat and giant shoes. 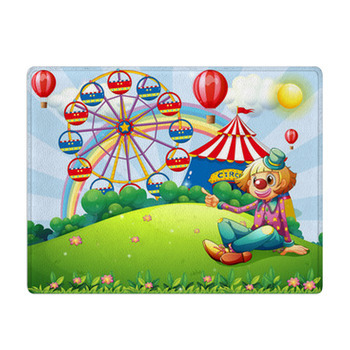 Leave a little St. Patricks clown in pink trousers on a custom bath mat. 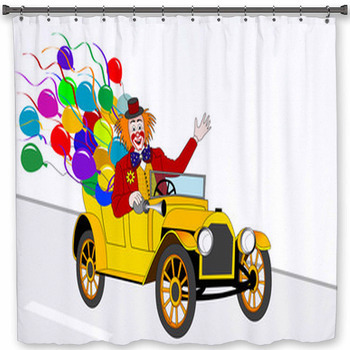 Put crazy Argyle trousers and a huge green bow on a clown trumpeting a bright yellow balloon. Let a little juggler show off on the bathroom floor. 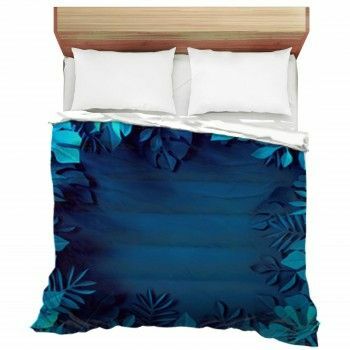 From modern day Turkish dancers with tambourines and turquoise clown suits against a fat red sun to red haired clowns popping out of boxes on springs, these clown designs are going to put a smile on your face. 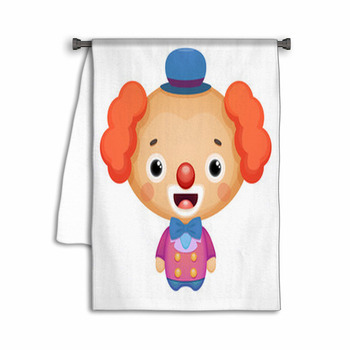 Let a pair trade compliments on a clown bath mat. 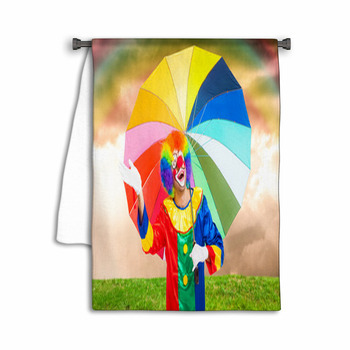 Float one onto a custom clown towel in a burst of yellow with a polka-dotted umbrella along with a balloon wall art. 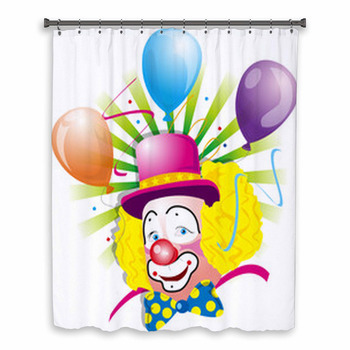 Put a few balloons behind a hobo or celebrate with a bright orange clown given sparkly blue bangles. 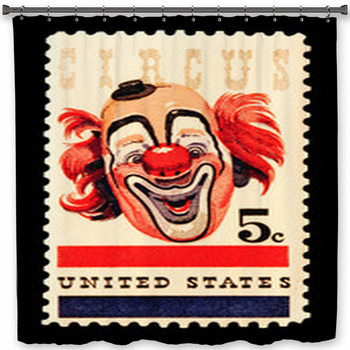 Let one perform for you with a baton or play a buffoon in a polka-dotted orange jesters suit. 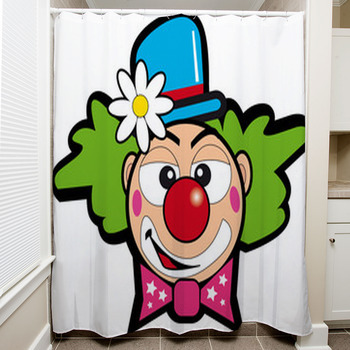 Let a really cute little clown carry a gift box into the bathroom. 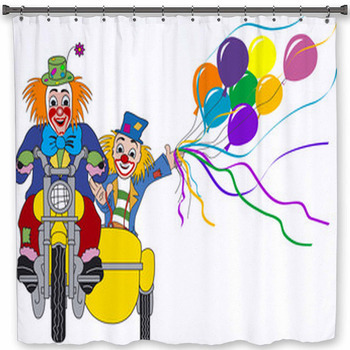 Whether you want to surround a clown with shiny balloons or give yourself a thumbs up for choosing a clown shower curtain, its easy to stay in a good mood with these custom designs.